In the nineteenth century, during his sojourn in Rome, they made Gogol laugh out loud when he heard them recited. In France, Sainte-Beuve admired them. 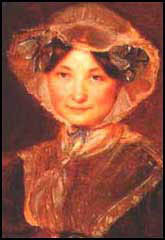 While in England, Frances Eleanor Trollope, sister-in-law of the novelist, made translations of a minutely small number of the more respectable ones. In the twentieth century, D.H. Lawrence is said to have wanted to translate them himself, but lacked the particular linguistic skills to do them justice; William Carlos Williams savoured their ‘intimate tang’ and enjoyed their ‘ironic candour…in an idiom which had no classical pretensions’; Anthony Burgess made his own versions in what he termed ‘English with a Manchester accent’; and in the latter part of last century Robert Garioch and William Neill made turnings of them into Scots. Now, Mike Stocks presents his own impressive translations of some sixty of Belli’s Roman dialect sonnets, in a twenty-first century vernacular that is no less vibrant and vivid and versatile than the dialetto romanesco of two centuries ago. … and arrange for a selection of them to be published.’ And so Belli’s Romanesco work did survive and came to represent his monument, ‘gain[ing] a far higher reputation than his poetry in Italian.’ But then this is no surprise, given the exuberance, the bawdiness and the variety of these works and the Roman street-life that they celebrate. 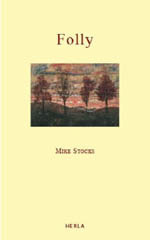 Mike Stocks is both a novelist and a fine poet himself: his own sonnet collection, Folly was published earlier this year. In his translations of Belli, Stocks demonstrates great skilfulness in working within the tight sonnet form and an assuredness in his linguistic inventiveness and ingenuity. 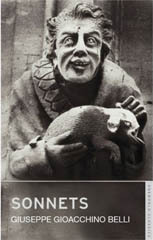 The selection he includes here consists of a good number on biblical and religious themes, particularly the bitingly satirical anti-clerical ones, and some which depict scenes from everyday life – harmonious and otherwise. His translations speak for themselves in their celebration of the straightforwardly bawdy and the splendidly vulgar. The language of Belli is robust, vigorous, fresh, lively, spirited, spunky, even. Equally so, the language of Stocks’ translation. For example, his renderings of the two ‘anatomical’ sonnets – The Mother of Saintly Women and The Father of Saintly Men – represent an exhaustive lesson in the ‘naming of parts’, none of which will be found in any medical dictionaries, and are more likely to be seen scrawled on toilet walls. è tradire’ – ‘to translate is to betray.’ And surrounding any poetry in translation are the vexatious questions of ‘accuracy’ and ‘faithfulness’ to the original. Without fluency in both Romanesco and English, it is not possible to ‘assess’ the ‘accuracy’ of Stock’s translations or their ‘faithfulness’ to Belli’s originals. But it is possible to read these translations alongside those of other poet-translators – say, Burgess’ and Garioch’s ‘Er giorno der giudizzio’ – ‘Judgement Day’ is as good an example as any. Stocks’ open with ‘four portly angels’ who ‘ plonk’ themselves down ‘at their ease’ at the four corners of the earth to ‘blow their horns’ – reminiscent, to me, of four rotund priests, amply satisfied after a good lunch, rounded off with port wine and brazil nuts. Garioch opens with ‘fowre muckle angels…stalkin the airts’. While Garioch’s vision is perhaps the more theologically sound – the stalking angels are certainly more Apocalyptic – Stocks’ has a reassuring feel. Despite what they herald, Stocks’ angels are, well, a bit more cuddly. Burgess’, on the other hand, opens with a kind of Miltonic inversion, keeping his simple ‘angels’ for line two. He doesn’t number them or name their instruments at the outset, but prefers to wait, before introducing a touch of the Mancunian by placing them in ‘a brass quartet.’ A most clever combination, but in no way faithful to the original. …put out the light.’ Combining a sense of both massive size and volume of sound, Stocks’ ‘humdinging flight’ is a masterstroke – suggestive and more of Belli’s ‘sonajera’, meaning ‘anthill’ (replicated by Garioch as ‘swarm’) and which figuratively also means a ‘baby’s rattle’, in this case presumably a giant baby’s giant rattle. Certainly Stocks’, like Garioch’s, are more faithful to the originals in content, tone, diction and form. (Burgess, never one to content himself with a mere translation, sets out to outdo Belli, going his own way to compose an original sonnet based on an idea of Belli’s.) But we digress. In their inventiveness and ingenuity, Mike Stocks’ spirited translations are sure to bring new visitors to this great monument of Belli’s. Entrance charge only £8.99, with unlimited access and great fun guaranteed.